Vernal Clam Shrimp is family of Eulimnadia, and they are the fastest in growing, and have shortest lifespan among clam shrimps. 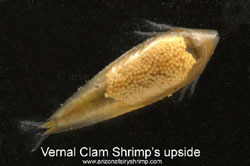 They normally begin to reproduce eggs 8 days after hatched out. On our record, the reproduction began only after 6 days which was the fastest among all branchiopoda we have raised. 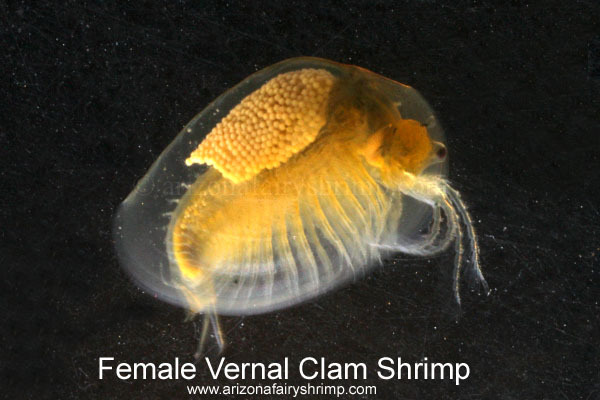 Also, a female clam shrimp lays over 150 eggs through a week, which is 3 times more than a fairy shrimp can in the same period. 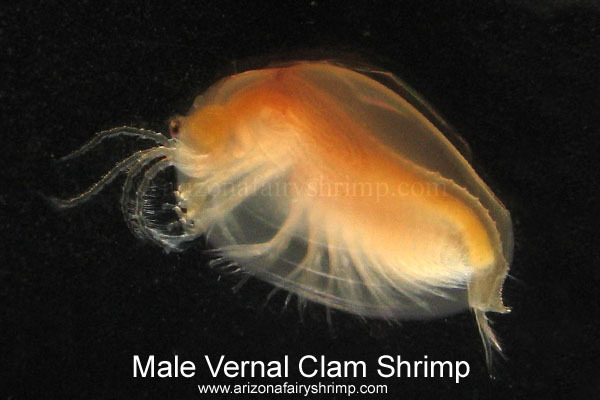 But their average lifespan is just 2 weeks in average and the total amount is smaller than fairy shrimp. 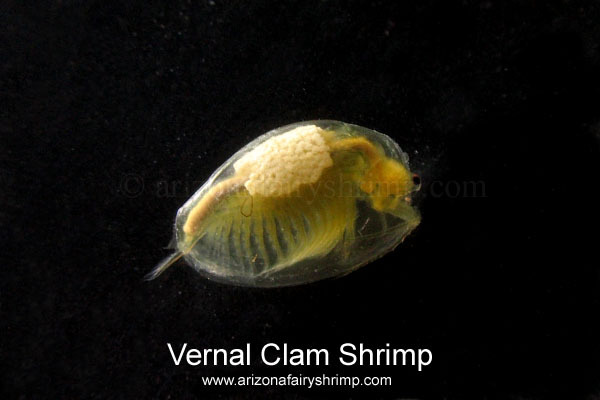 They grow up to 6mm long, 4mm high, and 2mm wide in the best condition. The body is dark-yellow and brown, covered by a pair of shells which is thin and transparent. The eggs are bright yellow, and located in the upper side of the body of a female clam shrimp for about 1 to 3 days before being released in the water. The size and color of clam shrimp is vary by the species and environment. Mainly their body color become dark when hot and lack of oxygen.